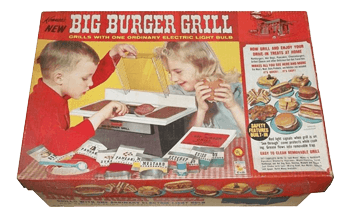 Box art for the Big Burger Grill show kids enjoying treats from an actual working miniature grill. The grill was powered by a single 150-watt light bulb that heated a removable metal surface sized to fit about two standard-sized hamburger patties. A “spatter-proof” transparent grill cover and removable grease trap rounded out the setup. A red light signaled when the grill was powered on. 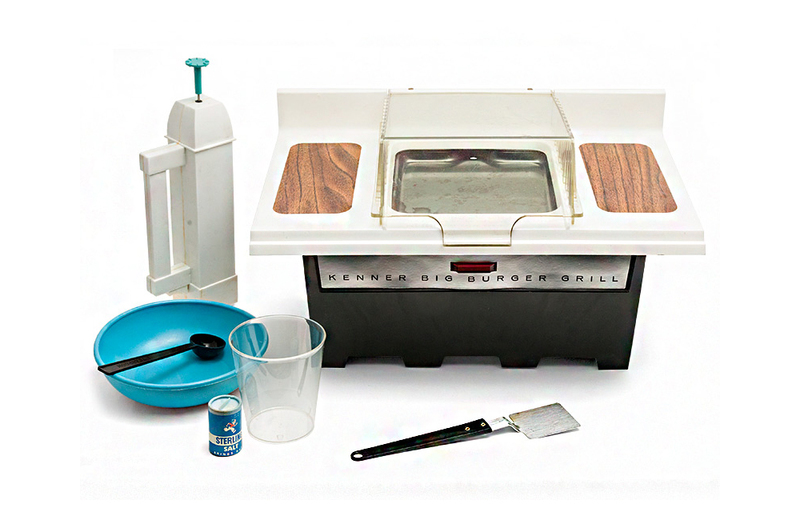 The grill came equipped with 12 add-water mixes for pancakes (blueberry and buttermilk); hamburger and hot dog buns; maple syrup, ketchup, mustard, and onions. Additional food preparation utensils included a spatula, mixing bowl, bun mold, spool, salt shaker, and cookbook. The Big Burger Grill remained on the market for four years. 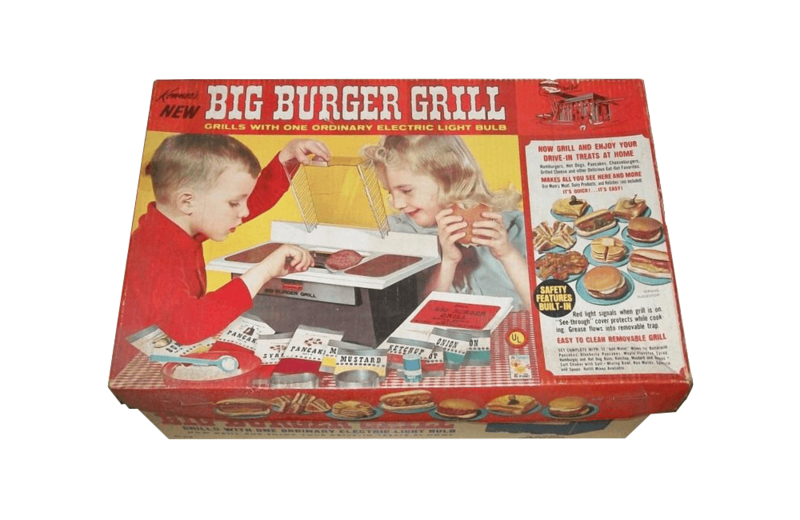 In 1968, Kenner upgraded it to include milk shakes, with a battery powered mixer in the set and three chocolate shake mixes in the box, and renamed it The Big Burger Grill and Shake Set. Chutes and Ladders has been a hit with the kindergarten set since it was introduced in the United States in 1943, by Milton Bradley.